Loraine Byrnes is the clerk of Edmund Barton Chambers. 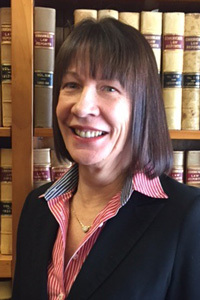 She is the principal point of contact for solicitors wishing to retain barristers in Edmund Barton Chambers and for arranging appearances in court and conferences. Loraine can assist you in the sensitive and important task of identifying a suitable barrister for your case. She can provide information about barristers’ areas of practice, their availability and rates.